Chuck Rounds has been working in the theatre and entertainment industry for over twenty years. During this time, he has had the good fortune to have worked in professional theaters across the country, and in virtually every aspect of the theatre--acting, directing, designing, producing, writing, and technical theatre. He has been a Professor of Theatre at both a College and a University. 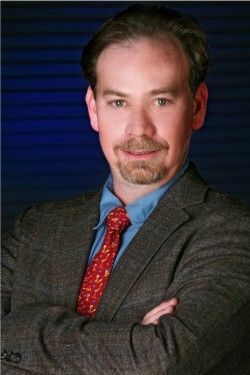 Chuck is currently, the entertainment writer and host for Charleston Communications, and also writes reviews of Las Vegas productions--which can be read at igoshows.com. He started a drama program at the Women's prison in North Las Vegas in 1998 and has produced several productions using just the inmates. Chuck has written nine plays, and two screenplays--all of which have been produced, and he has volunteered his time with the Nevada Film Office over the past several years as an adjudicator of new screenplays. Las Vegas has been his home since 1996, and he enjoys life in the valley with his daughter, his dog, and his cats.